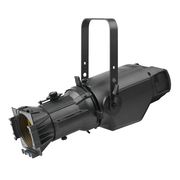 Introducing the Martin ELP, our bold entry into the world of ellipsoidal LED fixtures. Martin ELP delivers the luminance, brightness and vivid color rendering that has been synonymous with the Martin name for more than 30 years—but we didn’t stop at optics: ELP also offers innovative, industry-first features for precise, nuanced control and ease-of-use. Available in two versions: ELP WW (Warm White) offers industry-leading color rendering and brightness, while the ELP CL (Color) delivers rich, saturated colors and class-leading output. Both versions can be configured with one of four Martin lens tubes in 19, 26, 36 and 50-degree beam angles. Plus ELP can seamlessly integrate into your existing inventory via convenient third-party compatibility with industry standard lens tubes and accessories.